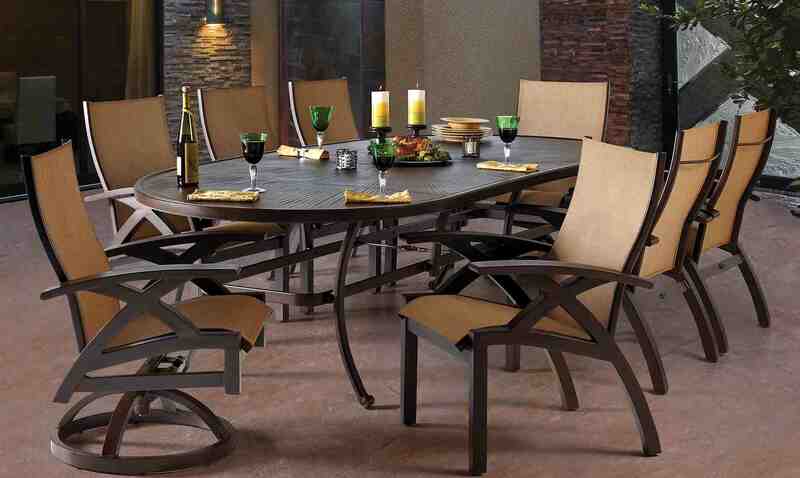 The Bellagio Collection includes cast legs and hammered curving arms. 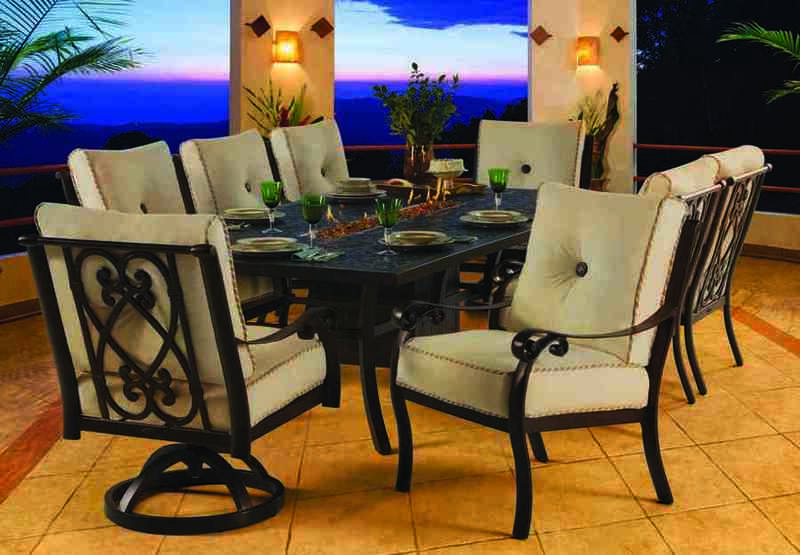 Award-winning designer and manufacturer of luxury outdoor furnishings, Pride Family Brands, leads off its 2015 with the Bellagio Collection, featuring classical design lines and luxury in details. Bellagio will be presented by Pride during the 2014 ICFA Preview Market next month in Chicago. Within Pride Family Brands’ Merchandise Mart showroom (#1576), The Bellagio Collection will debut with a wide array of coordinating casual furnishings pieces, including deep seating and cushioned and sling dining. Across the Bellagio introductions, handcrafted classical design and luxury details are highlighted. Within the Bellagio Collection, intricate details incorporated by the Pride designers include cast legs and hammered curving arms. The simple, yet classical, cast seat back includes intersecting curving lines grouped into a central design element. The tailored cushions include Pride’s signature cast button tufting and decorative welting. Bellanova is the company’s latest entry into the vintage design category. Pride Family Brand’s new Bellanova Collection is the award-winning casual furnishings manufacturer’s latest entry into the vintage design category. Bellanova features intricate cast aluminum back and arm details delivering a combination of old world elegance and timeless style. The Pride Family Brands’ design team incorporated dining and deep seating within the Bellanova Collection for a full complement of outdoor living options. From the symmetric curving center cast design on the seat backs and the curve-on- curve arm detail, the Bellanova’s multi-décor appeal cannot be denied. Tailored cushions within the collection pieces include Pride’s signature cast button tufting and decorative welting. A high back and contoured design is used in Bellanova’s sling dining seating. Hundreds of options are possible with Pride’s signature four-stage finishing process and hand applied antiquing. Lotus features precise artistry and engineered cast and extruded aluminum elements. Pride Family Brands will deliver luxury outdoor living from a contemporary point of style when the Lotus Collection is introduced for 2015. Featuring precise artistry and engineered cast and extruded aluminum elements, the Lotus Collection debuts within Pride Family Brands’ contemporary category to embody a modern side of craftsmanship. Uncomplicated beauty is found across the Lotus Collections’ deep seating and cushioned and sling dining pieces. Featured in the cross-design arm and leg construction is a simplified, yet precise, combination of cast and extruded aluminum elements. A clean linear design is highlighted on the chair backs and bases. Each unit is available in hundreds of options including tailored performance fabric cushions, 4-stage finishing, and hand applied antiquing.